Pro Roofing Brisbane Co. is one huge family owned company, which has assisted many residents who need to transform the roofs of their homes in the best way possible. When you hire our services, we have experienced experts who will always be there and ready to offer you services that will enable you appreciate what we offer within the market. Since we started offering our roofing services, we have managed to attract a huge number of people who often go for our services. We have certified and experienced experts having been in the industry for over 35 years offering these services for the people who need them. If you hire us, we will guarantee a Liability Insurance of about $20 million to make sure you do get the services that you need. Through, this we will always ensure that you do get the services that you need. For those people who need the best services, we at Pro Roofing Brisbane will offer you amazing services. VIP roofing Brisbane is a family business which was established in 2002 in South East Queensland. Over the years, we have invested in professionalism and pride in the best roofing services. Our clients are our assets and we dedicate our time to ensure their satisfaction. Considering the long term nature of buildings, residential or commercial, we provide roofing solutions that will last for decades. Our experience in this field is our main strength and coupled with our professional team, our clients are guaranteed of the best roofing services. 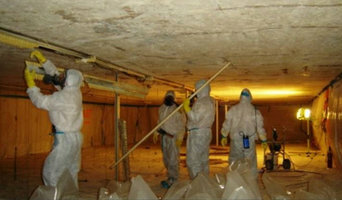 Pro Asbestos Removal Brisbane is a Brisbane based company which has been dealing with professional asbestos removal disposal for the last ten years. The company is certified and registered by the Environmental Protection Agency (EPA) and provides high quality services designed to meet the needs of its clientele. WHY CHOOSE US? Our highly trained professionals have been in the industry for the last ten years and therefore have the expertise and experience necessary. Armed with full protective gears, our professionals can go into any decontaminated areas if required assuring our customers of perfectly, complete and excellent services. We also provide written procedures in a very simple and understandable format. For excellent and environmentally friendly services, contact our dedicated staff who will respond to your call immediately. 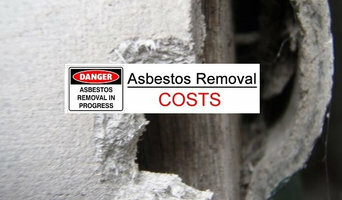 IAsbestos Removal Brisbane Co. is a local company which has extensive experience in safe removal of accumulated asbestos from commercial and residential property throughout the city of Brisbane and its surrounded areas including Gold Coast, Sunshine Coast, Ipswich and Toowoomba. We have managed to acquire a huge number of people who often look for our services whenever they need excellent services. WHY CHOOSE US? We as a company have experience after being there for over 20 years. When you do hire us, you should remember that our experienced experts would always be there ready to offer you excellent services. Our experts are also certified and this means that we would always provide you with the services that you do need when you need any in the market. In the end, hire us at iAsbestos Removal Brisbane Co. and we will provide you the best Asbestos removal and Inspection Services. Looking for Metal Roofing Brisbane? Look no further! 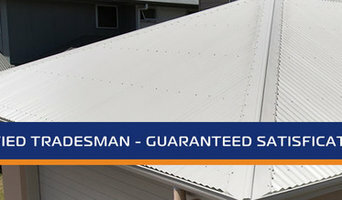 Our Brisbane roofing company comes with the very best quality guarantee's - over 40 years of experience. We have seen and installed thousands of roofs. That is why we are ready for every Metal roof installation, roof replacement, or leaking roof repair you might need. When you call us, we will quickly tell you what the issue is, repair it efficiently, and leave you sleeping peacefully while knowing your Metal roof will hold steady even through the biggest of storms. Our top-notch Metal roofing services are available to everyone - homeowners, builders, and our World Famous Brisbane architects. We can confidently say we are second to none. When it comes to materials we are proud providers of Colorbond and Zincalume Steel. We follow Australian Building Regulations to the letter, we only use premium Metal Roofing products, and we guarantee we can finish all the work without any delay. On the other hand, when it comes to our employees, they are among the most qualified professionals around. Our Metal roofing contractors are all licensed and fully insured, so you can rest easy while they're making sure your home stays lovely and dry. You know what? We understand that making such a big decision is tough. After all, a roof is the most crucial part of your home. So, don't make that decision blindly. Contact us and get a quote. If you don't like what we're offering, no harm, no foul. If you do, and we're confident you will, our experts are ready when you are! 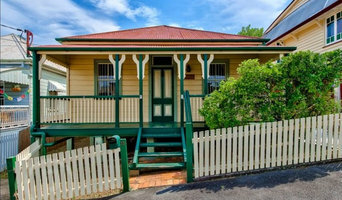 OzRoofworks - Small Enough To Care Big Enough To Deliver! One of Australia's largest manufacturers and installers of quality concrete and terracotta roof tiles. Sunstate Design and Construct knows the importance that comes with offering the best services whenever you want the best building services in the Australian market. We have acquired our experience when looking for services that people offer whenever we do need the best services from the market. Since we started, we have acquired many customers who often need our services when looking for quality from the market. Why choose Sunstate Design and Construct? We do possess experience that will enable us provide you with the quality services that matches your needs even as you make your choice from the market. When compared to other companies, we offer the best prices in the Australian market. Ultimately, you need to us when looking for our services (Sunstate Design) as we are the among the best. Vantage Point Roofing will provide you with a smooth, hassle-free experience for your residential or commercial roofing needs. Our professional team prides itself on a "no excuses" approach to service and job standards - ensuring total customer satisfaction. Bayside Roof Repairs & Restorations are experts on all aspects of roof restoration, including roof tiling, all roof repair work, re-roofing with tiles, pressure cleaning and roof painting by respraying of tiled & tin roof. They have been operating since 1999 and have completed over 7000 projects since then. They have immense experience and great knowledge of products available on the market, which allows them to choose only the best ones that come with a quality guarantee. They are also fully insured for your piece of mind. Offering residential and commercial roof restorations in Brisbane, Caboolture and Gold Coast. For further information regarding our services and roof restoration cost go to their website or give them a call. 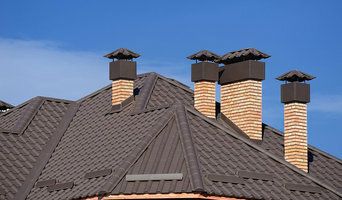 Have you noticed signs that your roof might need repair or replacement? Are you interested in a solar energy set-up that decreases your electricity bills? How do you feel about roller shutters or window/patio blinds that add to the privacy and security of your home? If you are looking for home improvement solutions, Queensland-based Allied Group offers a wide array of high-quality services along with friendly, professional advice. For premium home improvement solutions with affordable plans and a personalized service, get in touch with the experts at Allied Group! Vantage Point Roofing will provide you with a smooth, hassle-free experience for your residential or commercial roofing needs. When looking to have your roof replaced, Vantage Point Roofing is your premier choice. As a highly-experienced, family-owned company – we provide expert roofing services throughout South-East Queensland that are second to none. With experience on over 5,000 roofs, the team at Vantage Point Roofing are experts in a wide range of metal roofing solutions. We have handpicked the roofing industry’s best tradesmen who pride themselves on their professional conduct and completing each job to the highest standard. Our expert workmanship, paired with our exclusive use of Bluescope Steel, means our jobs are backed by industry-leading written guarantees. Our services include Roof Restoration, Roof Replacement, Roof Renovation, Commercial Roofing and also we provide, Guttering, Insulation, Downpipes. When looking to have your residential or commercial roof replaced or repaired, Vantage Point Roofing is your premier choice. As a highly-experienced, family-owned company – we provide expert roofing services throughout the Gold Coast that are second to none.Choosing Vantage Point Roofing will provide you with a smooth, hassle-free experience. While our professional team prides itself on a “no excuses” approach to customer service. Our roofing services include: Roof replacement Guttering Insulation Downpipes Ventilation Wall Cladding Asbestos Removal We have hand picked the roofing industry’s best tradesmen who pride themselves on their professional conduct and completing each job to the highest standard. Our expert workmanship, paired with our exclusive use of BlueScope Steel, means our jobs are backed by industry-leading written guarantees.Simply, we are the team you look to when you want it done right.Call 1800 476 634 on the Gold Coast to discuss how we can assist you with your new metal roofing. Roofing and gutter contractors in Brisbane, Queensland can install a new roof, repair an old one or extend an existing one, as well as repair and replace gutters. They can inspect roofs and guttering after damage from harsh weather, and also offer services such as roof insulation, and general maintenance such as roof and gutter cleaning. Some specialise in specific types of roofs, such as tile, metal or Colorbond roofing. Here are some related professionals and vendors to complement the work of roofing & gutters: Building Project Managers, Specialty Contractors, Cladding & Exteriors, Doors, Garage Doors. Find a roofing company and gutter professional on Houzz. Narrow your search for professionals by selecting your nearest city or postcode. Look at portfolio and product photos, and read reviews to find the best roofing company and gutter professional for your Brisbane, Queensland home.